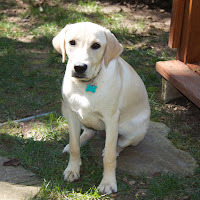 It’s been a while since I’ve written about Maisy, our 7-month-old yellow lab puppy. My last few blogs about her reflected an immature, out of control crazy dog! Of course, that’s how all puppies are- impulsive and wild. But as time has passed, Maisy has settled down. Honestly, I’ve been so focused on her messes that I’ve missed some of her victories. It’s so easy to do with a dog and certainly as easy with our kids. Victory #1: she’s learned to “deposit” in yard. This is huge. I was cleaning up multiple puddles and poop in the garage every morning and with the weather getting hot, well…it was gross. But suddenly, without any warning, she apparently decided she didn't like the smell either, and now the garage floor is squeaky clean. Teens too, without warning, seemingly get “tired of the smell,” and often just decide to behave with more responsibility. Even with all the research and techniques, kids often just get better. Even the professionals aren't sure why. It’s a reminder to us as parents to keep training and teaching our kids because often, time is on our side. Victory #2: she’s learned to “sit” upon command. With the use of a choke collar, it took a few strolls around the driveway, a few yanks on the chain and voilà, she had it down. The great thing about sitting is her spirit after she sits. It’s less about sitting and more about her attitude. When she sits, she has a noticeable submissive spirit. She knows that when she sits, she’s pleasing her master. Teens too, regardless of how they appear, desire to please parents. Sure, there’s the defiant sin nature that wants what it wants now. By the way, if you doubt the existence of sin nature, pull up a chair in your church nursery this Sunday and watch the babies. They’re sweet all right, but they also are…needy. 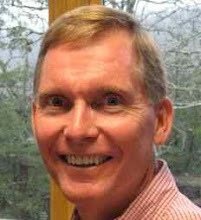 But when teens are obedient, they dispel the rebellion and feel their own sense of accomplishment and peace. Victory #3: she’s learned to go to her bed when a car is pulling into the garage. She learned this lesson the hard way. When she was a small puppy, our rule was to never pull in or out of the garage without someone holding her. We’d heard about too many dogs that were accidentally run over by their masters. Sad. But she began to sit to one side as we pulled in, so we left her on her own. One day, as Jeanie was pulling in, Maisy got too close to the car and she got bumped. Ever since, she runs to her bed when the garage door is going up or down. She learned the lesson the hard way, but she learned the lesson. Often, kids are left to learn their lessons the hard way. We can only hold them so long before they’re left to figure it out on their own. We can only hope they don't get too bruised. Victory #4: she’s become a friend. Don't get me wrong: I’ve always liked Maisy. But as a crazy pup, my goal in being with her was to avoid chaos. Lately, after I walk her through a few “obedience laps” on the driveway, we sit together and she let’s me just rub her belly. No squirming, no biting, just being a friend. Now don't get me wrong, she can still be a kamikaze pilot flying through the yard, but she’s a loyal friend. Don't miss the friendship with your kids. Teens can appear that they only want to be with their peers, but deep inside, they cherish the time going to get ice cream or just sitting on the deck talking. Don't let the roll of the eyes fool you. They cherish the time with you. Don't miss the bright spots with your animals or your kids. Don't be too busy to recognize the victories. It brings peace, satisfaction, contentment and maybe a good ole belly rub! When things break, we all like to fix them with the least amount of “collateral damage” possible. In other words, we don't want any remaining reminders of the breaking. But many times things change, even after the problem is fixed. That’s God’s ultimate purpose as He takes us through trials- to make us into more than we were before. That’s his plan for our kids also. But usually, we resist the change. We’d struggle less if we knew the benefits of the change. Like many homes, we have two refrigerators in the Staples house, the newer one in the kitchen and the older one in the garage. I noticed the ice cream in the kitchen freezer getting soft and knew we had a problem. As always, I attempted to fix it myself. The Internet said to clean the coils underneath the refrigerator, which I did, but it made no difference. I called a repairman, but it took a couple of days for him to come to the rescue. In the meantime, I laid hands on it, I shook it, I talked to it and I even dreamed that I’d woken up and it was fixed! But denial didn't work. It never does. The fact was that the refrigerator was broken and I couldn't fix it, period. I needed to ask for help. Surfing again or not, their daughter was changed. As parents, we want to keep our kids in a mold of comfort and ease. We don't want things to change, even though we know, intuitively, that they need to change. So, too often, we jump in the fix this and fix that. Intuitively, we attempt to fix problems to produce as small a consequence as possible. But sometimes our kids need to live with the damage. Sometimes, the process of the trial and the scares left behind teaches our kids more than we realize. Sometimes, the lessons learned are stored away for our kids to use as they encounter trials later on in their lives. 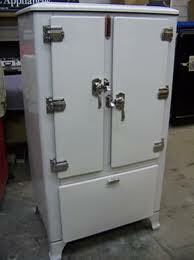 The repairman finally came and I watched as he tested, diagnosed and fixed the refrigerator. He commented, “feel free to ask questions as I do the repairs.” I did and I learned a ton. He showed me the timer, thermostat, sensor and heater coils. When it goes out again (not soon I hope), I think I could fix it- maybe. Isn't that our goal as parents? Not to solve our kids problems, but to teach them how to solve their own problems. 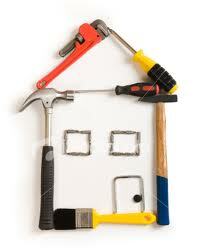 When their refrigerators break, we want them to have the tools and knowledge necessary to make the fix. We also want them to be willing to ask for help. We want the trials to teach them and to have their “perfect result.” We need to remember that none of that happens when we jump in to make the quick fix. We need to pray for discernment to know when to step in and appropriately help our kids and when to back off and let them hurt a little and learn. Even if we’re to jump in, we need to remember to teach them. Then, when the refrigerator goes out, they’ll be able to make the repairs. I slept terrible last night. A storm knocked out our electricity and I need noise to sleep well. I’ll get into the origins of my malady later, but the “noise handicap” is there. Jeanie, my wife of 30 years, is the opposite. She likes it quiet and calm. Our compromise (sort of) is the air cleaner I turn on every night in our bedroom. The constant “buzz” lures me to sleep like a baby. Needing noise isn't good but teaching our kids to live with “the quiet” is a great thing. The truth is, when I lose power, I need the noise. Or do I? My theory is this: I grew up on SAC Air Force bases. I was born at Rhein-Main Air Force base in Wiesbaden, Germany at the height of the cold war. Those high profile air force bases were pretty phenomenal. Huge B-52 jets, loaded with nuclear bombs, were literally taking off 24 hours a day everyday. From 1946 until 1992, the United States had enough firepower in the air, at any given moment, to launch nuclear strikes against multiple sites all across the Soviet Union (in defense of course). So I stayed awake or learned to sleep with noise. As a child, I learned to live and sleep with the racket. There is so much noise in our world today. There are so many distractions. For the youth leaders and camp directors of the world, it presents challenges. What used to impress kids years ago, initiates a bored yawn today. In the computer filled, entertainment-based world we live in today, the more noise the better, or is it worse? Maybe a gift lies beyond the power outage. Maybe, when all the electronics are turned off, whatever is left is worth cultivating. Could it be that all the “I- somethings” are really just distractions away from the simpler, quieter and longer lasting noises? Could it be that when the power goes off another power takes its place? But the transition in our kids comes slowly. It requires us to guide our kids to the alternate power. That’s where grandparents play a huge role, simply because they don't have the “gadgets.” I loved going to Granny and Papa’s farm in Georgia. Why? Because there I could go to the hen house and bring eggs back for breakfast. There I could play in the barn and run in the fields. There I could take a bath in an old-fashioned bath tub. I didn't need to plug any of those things in the wall but they were powerful to me. Think creatively about your kids and whether you’re willing to do some unplugging. I’m not suggesting we do away with TV and games. They’re okay in moderation and fun for kids (and adults). But I am challenging us to be creative. Take your kids on canoe trips, go Geocaching, go hiking, go camping, go fishing, go, go, go. Get away from the electronic noise to the stillness and quiet of God’s amazing creation. Yes, it takes more time. But it’s powerful. Try unplugging the power cords and experience something more powerful than any noise can provide. Experience God’s creation through nature and have a blast. You may not sleep as well, but getting used to the quiet is worth it. “Speaking the truth in jest.” Sounds innocent enough, right? But in reality, cloaking a true statement in humor usually produces confusion and frustration. I’ve heard it said that sarcasm is the lowest form of humor. It typically gets lower marks because it’s really not funny. Of course, it’s kind of funny to the person dishing it out, but in the end, it’s usually destructive to friendships, marriages and families. When the sarcasm meter is raised, the quality of the relationship is lowered. The word sarcasm comes from the late Greek σαρκασμός (sarkasmόs) taken from the word σαρκάζειν meaning 'to tear flesh, gnash the teeth, speak bitterly.' However, the ancient Greek word for the rhetorical concept of taunting was instead χλευασμός (chleuasmόs). Thomas Carlyle, the famous Scottish writer, despised it: "Sarcasm I now see to be, in general, is the language of the devil; for which reason I have long since as good as renounced it." 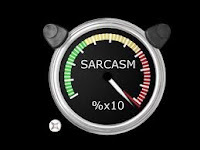 Psychologically, sarcasm is used because it’s a safe way to express one’s negativity without being direct. Your wife is on the phone downstairs at your home in an exciting conversation with a friend. When she hangs up, you say, "I think you should talk a little bit louder next time -- the entire neighborhood didn't hear it." Your wife smiles and apologizes. Why not just share with her, “Honey, next time would you mind speaking a little softer?” Or, why not just shut the door to your room? Because, other factors always contribute to the use of sarcasm. Jealousy and envy are typical precursors to sarcasm. My wife’s enthusiastic conversation with her friend might remind me of my lack of friendships. Hearing her talk stirs my heart to jealousy. Or perhaps I’ve already “let the sun go down” or “stuffed” anger towards my loved one for an earlier issue. When I’m sarcastic I’m speaking a half-truth: yes, I’d like you to be quieter, but I’m getting in the jab also. Parenting can certainly produce sarcasm. Our teen has been studying for a test and announces that she’s taking a break for a while to watch TV. “Oh good, you sure wouldn't want to study too hard or you might make an A on the test.” She looks at you with a smirk and goes upstairs to watch TV. You’re actually upset because of the C she has in that Biology class and her lack of effort you sense in her attitude towards the class. But you’re afraid to confront her about her studying habits. Fear is certainly one of the roots of sarcasm. Usually, people-pleasers are the most sarcastic. They don't want to be too direct and run the risk of damaging the relationships, so the “cloaked truth” is the substitute. Then, if the other person claims they’re being rude, they can play the “I was only kidding- gosh, can't you take a joke?” card. Scripture repeatedly challenges us to “speak the truth in love” (Eph. 4:15) and reminds us that, “open rebuke is better than concealed love” (Proverbs 27:5). We need to continually be honest with ourselves and keep our slate clean in our relationships. If I’m sarcastic, let it be a warning to me that I may have issues I need to resolve in my relationships.